Losam is the Daylight Mascot. On any given day you might find him curled up under a 4th graders desk during a math lesson, running after the ball during a futbol game, or under a dozen petting hands. One of the reasons Daylight children love Losam is that he is from the villages where so many children’s families are from. 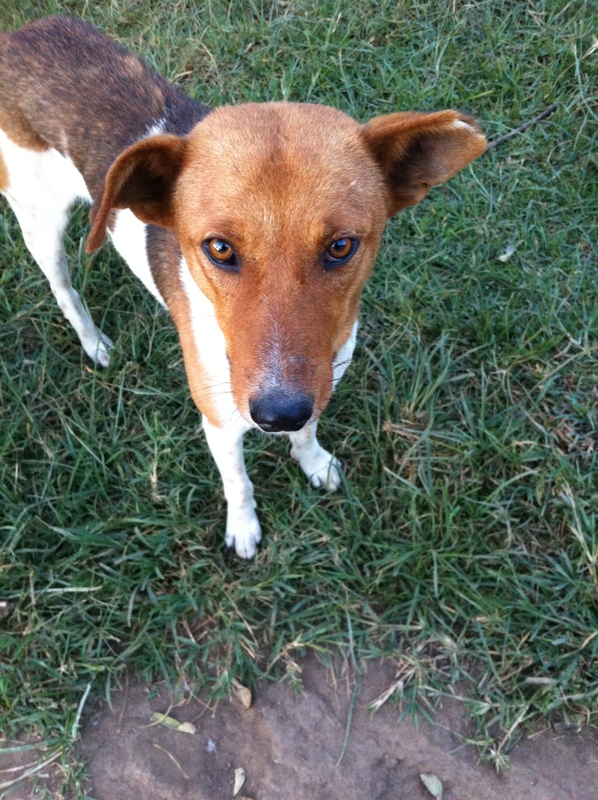 Michael Kimpur and Peter Losanguria found Losam as a puppy when they were driving back from a village meeting. They saw Losam along the side of the road desperately trying to keep up with a herd of cows he was supposed to be herding. Michael pulled over and asked the herdsmen if they thought Losam would ever catch up. The herdmen were doubtful as he was the runt of the litter. Peter and Michael agreed that Losam needed a safe place with grass and water nearby if he was going to thrive. And that Daylight kids needed a pet to call their own. So they loaded him up in the back seat and took him to Daylight. This picture pretty much sums up the rest of the story. 8th Graders Passed National Exam! When we started Daylight 8 years ago we had big dreams. One of those dreams was for our first class to be star students. 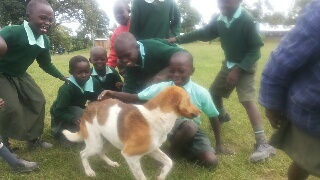 This dream was realized when all our 8th Graders passed their national exams to complete primary school! They are all ready for High School! 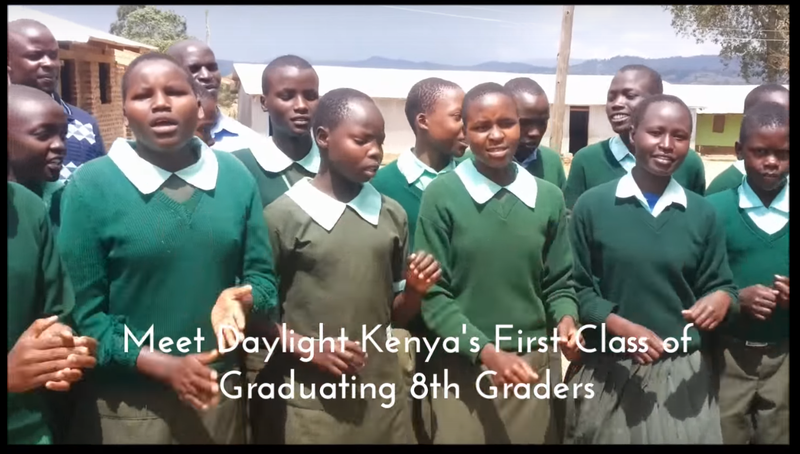 They created this video to share what they love about Daylight and to say thank you for partnering with them on their education. They are ready for their first week of 9th grade!